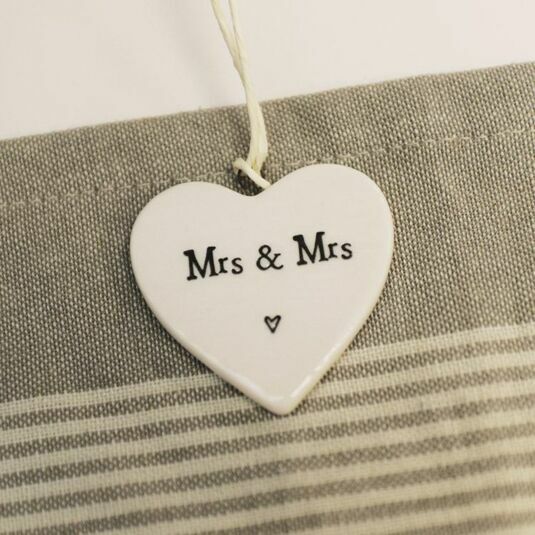 This beautiful little hanging porcelain heart from East of India makes a delightful little gift for a happy couple on their wedding day, guaranteed to be received with a loving smile. A subtle decoration but a very touching sentiment, this hanging heart is made from a shining porcelain material, creating a light rippled effect over its surface. 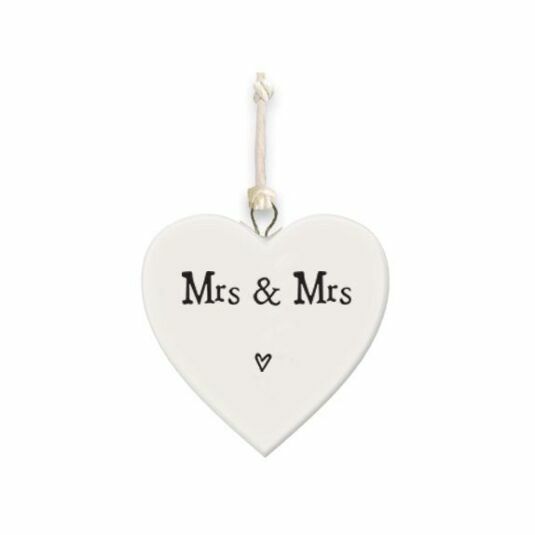 Subtle in terms of its design, it features the quoted words “Mrs and Mrs” in a debossed black quirky font complete with a miniature illustration of an outlined heart below.